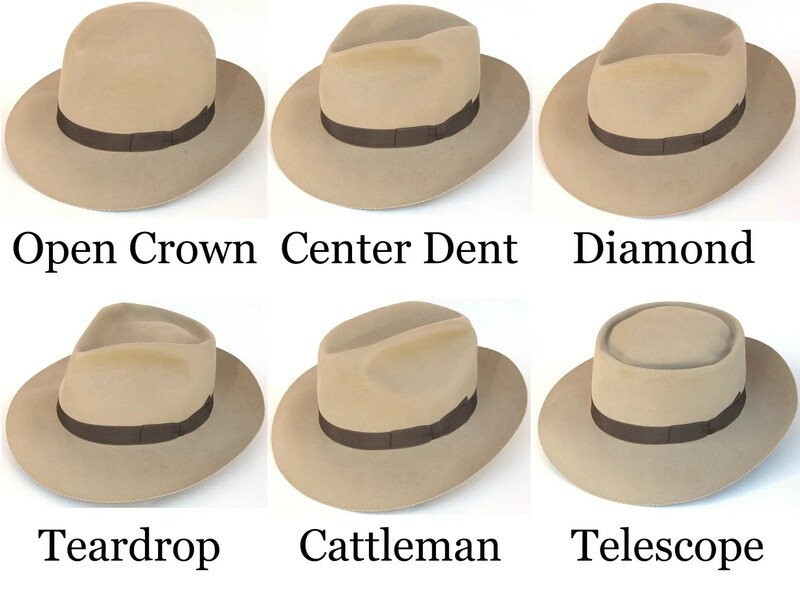 For those of you new to hats, here’s a brief intro to terms and styles. For the sake of simplicity and easy reading, a lot of the finer points have been omitted, but this will at least get you started. 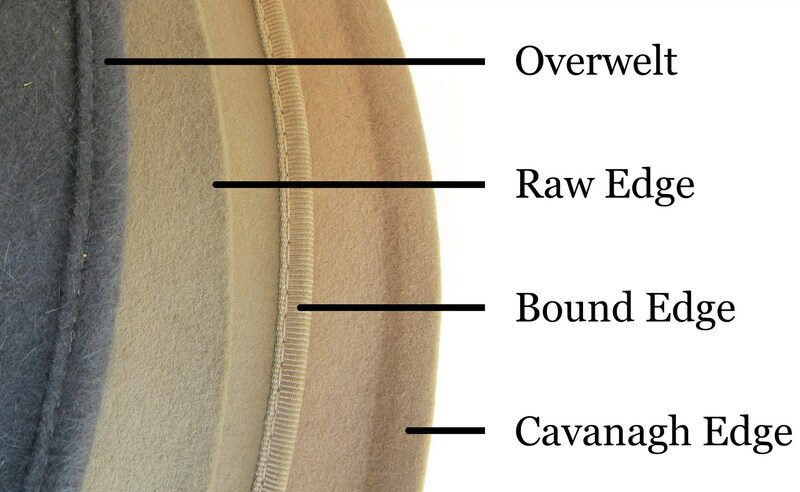 You can see a bit of extra fabric between the band and the brim, that is the reed for a reeded hat. It absorbs sweat and wicks it away from the head. 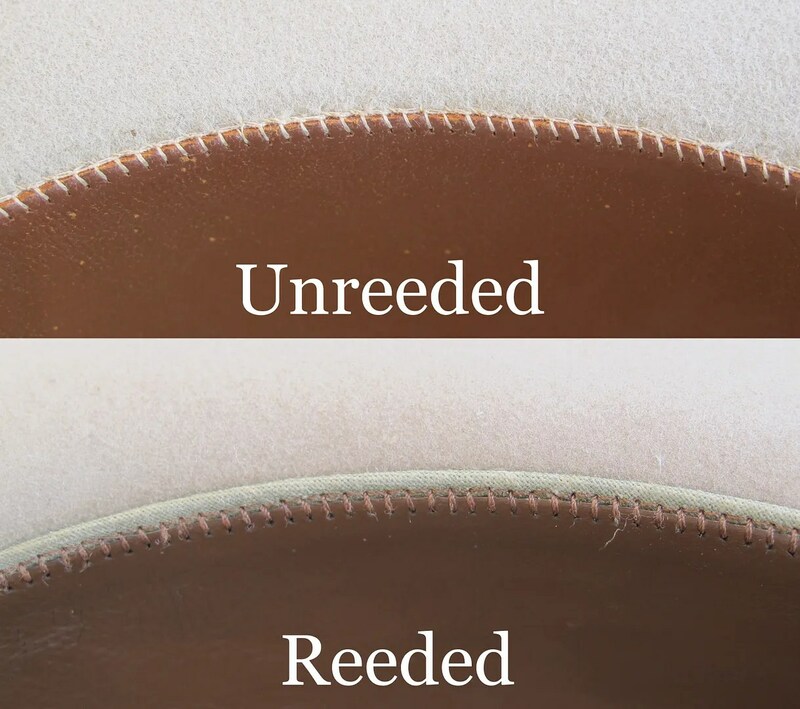 Pardon me, comment above is referring to the reeded vs unreeded. Thanks for the info! Bought a Royal Stetson Whippet this weekend and this is helping me get started in identifying it. 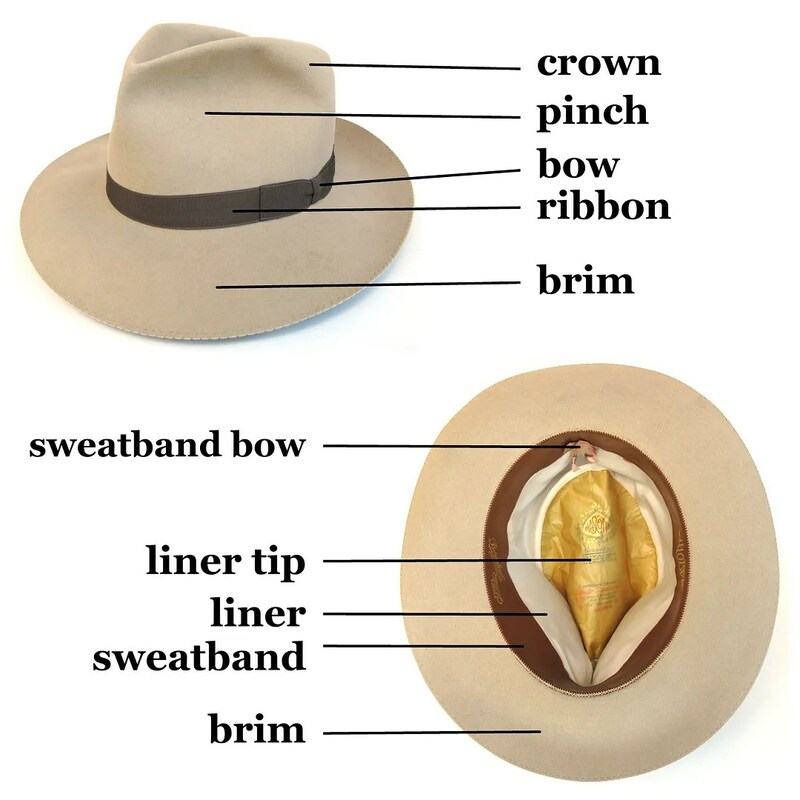 Does anybody know where I could order the raw felt from which a hat is made? I have a hat maker here where I live in Eastern Europe but she is not savvy about where to get the materials. 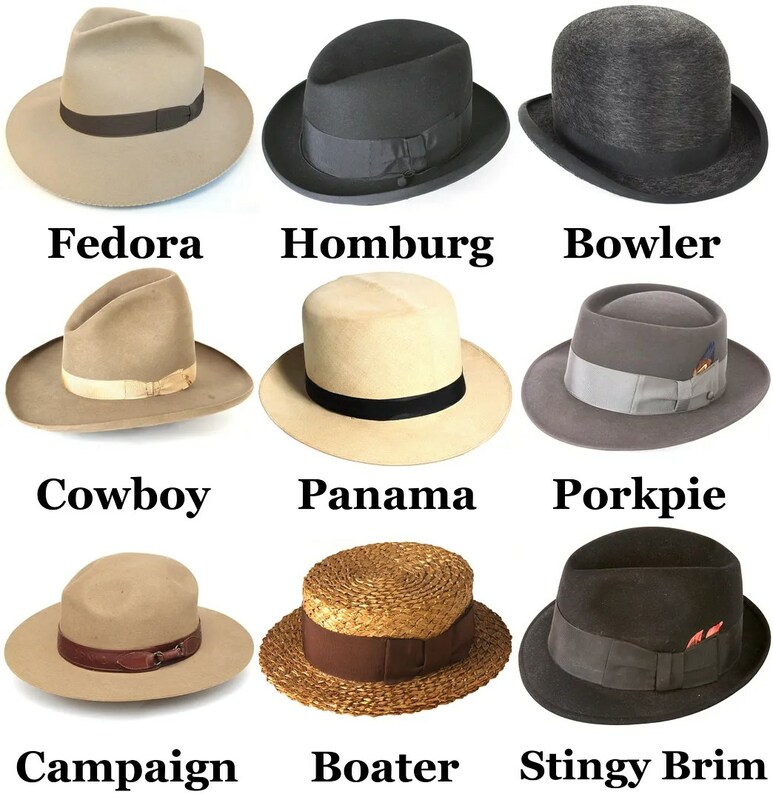 I would lile to know how much would a Fedora, Trilby, Panama, or Porkpie XL cost. I would love to get this for my my husband he would go crazy. Please email email me soon thanks in advance Silvia……. I am looking for a Derby to wear out playing music. Preferably black.